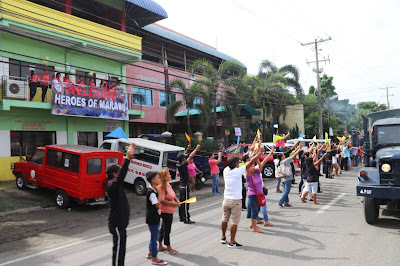 NSFA, Panacan, Davao City - Well-wishers from different walks of life in Davao City lined up along Sasa Road, Panacan, Davao City to welcome the 2nd Scout Ranger Battalion who arrived from Marawi on October 26, 2017. 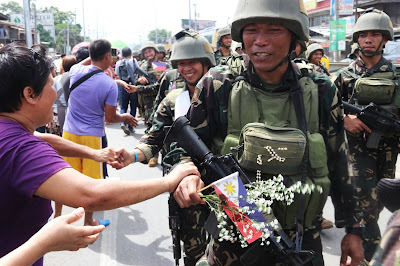 The Battalion was formerly deployed in Davao Region before they were redeployed to Western Mindanao during the Basilan Campaign and Marawi Rebellion. The Battalion was accorded with a motorcade from their point of disembarkation at Tactical Operations Group 11, Sasa, Davao City towards DPWH, Panacan Davao City for the heroes’ march to Naval Station Felix Apolinario, Panacan Davao City. 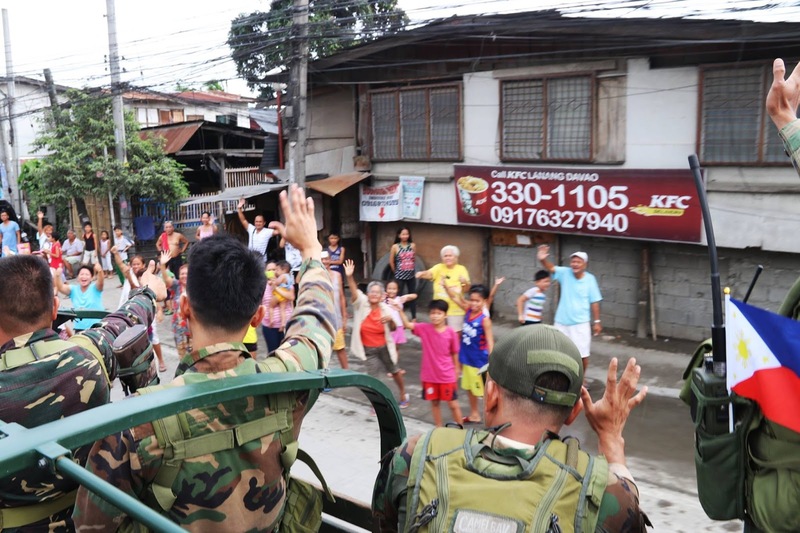 Eastern Mindanao Command accorded the Rangers with a welcome ceremony, led by the Deputy Commander, Brigadier General Perfecto Rimando and the representative of Mayor Inday Sara Duterte, Ret. MGen. Benito De Leon. Prior to their arrival, the troops have undergone stress debriefing by the Ateneo De Davao Psychology Department. The 2nd Scout Ranger Battalion is expected to be deployed in some areas of Eastern Mindanao Command to help in sustaining its peace after their reorganization and accumulation of administrative requirements.